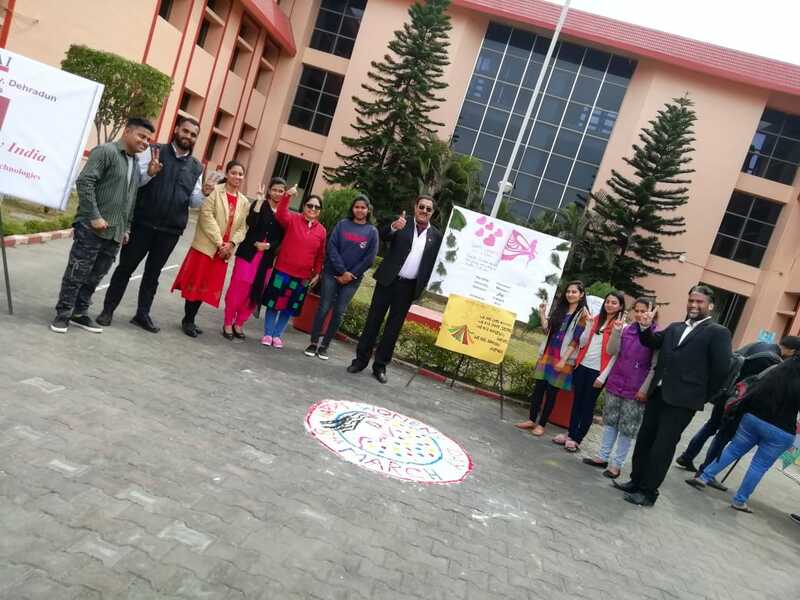 International Women’s Day was celebrated on 8th March 2019 by the pupil teachers of ICFAI Education School, The ICFAI University, Dehradun on the prescribed theme i.e. “Balance for better”. All the pupil teachers participated in various activities with great zeal and enthusiasm. Himanshu and Sapna came up with Rangoli at the flag pole area of IUD. Merlin, Sangita, Ekta, Tenzin, Nityanand, Sunil and Shobha participated in poster making activity. All women of IUD were congratulated on this occasion. The ICFAI University, Dehradun, Uttarakhand (hereinafter referred to as the University) was established under the ICFAI University Act 2003 (Act No.16 of 2003) passed by the Uttaranchal Legislative Assembly and assented to by the Governor on July 08,2003. © 2018 The ICFAI University Dehradun. All Rights Reserved.